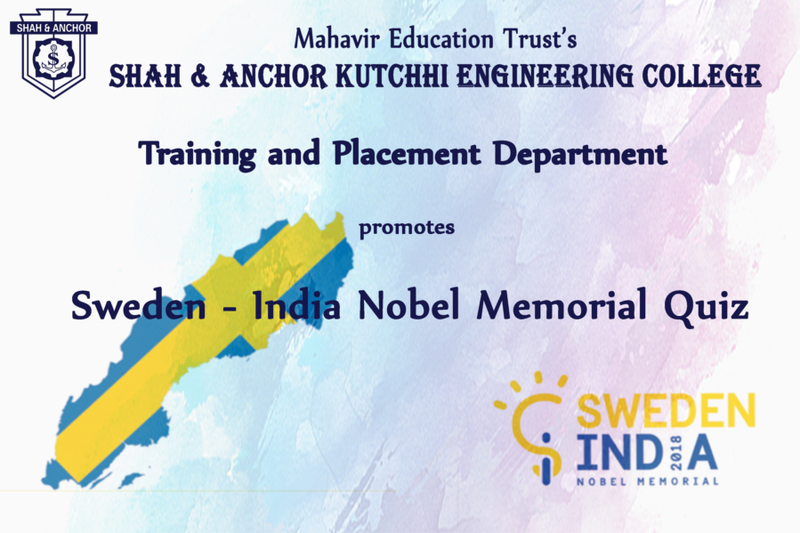 SAKEC Training and Placement Department promotes Sweden-India Nobel Memorial Quiz 2018. Members of the winning team win a week-long visit to Sweden where they will visit Swedish companies, universities and the Nobel Museum. And many exciting prices to grab at the event. The quiz is open to all Indian students currently enrolled at a college/university in India. Students are required to form teams of 3 members each in order to participate. All members of a team must be from the same institution. Teams from co-ed institutions must be constituted of at least one male and one female participant. Multiple teams allowed from the same institute. Note: Each team must comprise at least one male and one female student.